I am supposed to be doing my homework, finding out about rare and dying makes and models that are disappearing off our roads for the next episode of the podcast... But then I remembered that I have experts in such a topic that can do all the work for me! Anyway, I am looking for some suggestions for cars to cover for this episode and any info you might have about why they are so rare i.e. sold poorly, design flaws, parts availability, rusted horribly, all died in a field in Essex etc. Renault 14 is top of the list but I need 4-5 cars to get stuck into some research. I would also love it if anyone had any information about cars that are rare in markets other that the UK. Rare yank/Canadian would be great or JDM stuff a well. I know thats a bit of a longer shot as you are mostly UK based. Tagora SX... all said, close the topic. Ah, the Tagora. 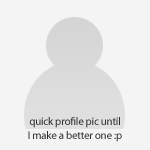 How could I pass that up! Also, suggestions for special versions will still count. 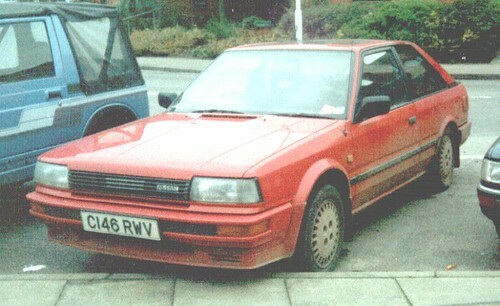 Mk1 Astra's are rare, but GTE's are more rare still. Used to be 2 pages plus last year on ebay et al for just the A model - now it's all B models and a dozen (vehicles) at most. No, I haven't bought them all. any sort of invalid carriage? This thread brought up some forgotten cars which have disappeared rather swiftly in recent years. I have recently become fascinated by Vauxhall Senators. Any owners on here with info or pics? Someone (I forget who) has a A plate one if memory serves. I always wanted a later 3.0 24v version. Are you talking about once plentiful models that have disappeared thru undesirability, poor build and rival cars with a better image (which is essentially the R14 situation) or those that were doomed to be uncommon from the start (Panther Rio, Fullbore Mark Ten) ? Any rarities that have a good story. I would like to mostly keep it to things people have heard of but haven't yet realised that they haven't seen one for a decade. But anything odd with an interesting reason for it's rarity is a goer. Just not really interested in the Diablo's etc. It's fairly obvious that those are rare. Talk to fourwheeledstool about his Polo G40s. Not so much a fatal flaw, but they only built 500 cars and the supercharger was never used in anything else so they're simply only available from scrapped cars. VW 412s? Designed two decades too late and a surprisingly small following considering it has the magic badge on the front. Yank would be the Chrysler K cars. Chucked out by the million load, you can't find one now even if you try. Daihatsu Applause? Come to think of it, anything Daihatsu is rare now. You all know I have an unhealthy fascination for Mk1 MR2s, but the Mk2 MR2 had been plentiful for many years - and then seemed to disappear suddenly from the roads in about 2016. The examples I saw in that year had almost without exception been roundly molested. I don't whether there was a mass scooping up and putting away for the winter by people spotting them as a particularly good mid-life crisis salve, whether James May's autocross outing in one in TG spurred a load of people to pick them up for similar fun while they were cheap (and they were) or whether the rot got too much for a whole raft of them at once and they all got cubed. The story of the Leyland P76 makes for a ripping yarn. This was BL's Australian Division's short-lived and unhappy foray into building a completely unique full-size car for their domestic market which, in true BL comedy of errors style, was launched slap-bang in the middle of the 1973 Energy Crisis, along with slightly shonky build quality, which the motoring press immediately ripped into. Previously, Leyland Australia had built and sold bizarrely reskinned versions of UK cars - which looked like parallel universe versions of familiar models - badged with names like the Austin Kimberley and Morris Nomad. With the same engines as their UK siblings, they never made much headway against the big V8 Ford Falcons, Holden Kingswoods and Chrysler Valiants which characterized Australian motoring through the 50s and 60s. An E-series unit might be fine for a Sunday drive through the Cotwolds, but yer average Aussie wouldn't necessarily trust a car that looked like the secret lovechild of an 1100 and a Maxi to get them through hundreds of dusty miles across the Nullarbor. But the P76 was set to change all that, with Leyland arriving only a decade or two late to the fight with a 4.4 litre development of their corporate ex-Buick V8, to win the day. The Michelotti styling was decent enough, though clearly erring on the side of conservative. At its launch in 1973, the big advertising hook was - wait for it - you could fit a 44 gallon oil drum in the boot. Now, I don't know what kind of focus groups Leyland Australia convened to fine-tune their P76 marketing campaign, but in highlighting such a niche benefit, it seemed even they were grasping at straws to find something positive to say about their own car. Which was a shame, as overall it wasn't a bad package - some press reports were rather critical, and some quality control issues did come to light (the bonded windscreen tended to crack on rough roads, amongst other teething troubles), it should be remembered that Ford and Holden had been pilloried mercilessly for their own shortcomings too. The influential Wheels magazine voted it their Car of the Year for 1973, noting that its innovative engineering was far and away better than its rivals and it was faster and more powerful than any of the other 'Big 3' offerings. The difference was that Ford and Holden still sold by the bucketload; the big new Leyland just didn't. Part of the blame has to be laid at the '73 Oil Crisis, which strangled at birth a number of very interesting cars in Europe too - the timing was dreadful. Leyland Australia launched their first big, homegrown saloon at the exact moment when the big Aussie V8 saloon began its decline from eminence. It also didn't help that all previous cars has been sold as Morris or Austin, which meant something to most drivers - whereas the new corporate Leyland name had no resonance. Even so, there was a lot of customer interest in the new car, and that was the real trouble - there simply weren't enough cars available to dealerships to meet the initial demand. Despite the lack of meaningful branding and unusual wedge styling, over 2000 deposits were slapped down on the week of release, and before long there was a 16 week waiting list. But by that stage, only around 300 cars had actually been built - and none of them very well. The Zetland factory had been set up to build the Austin 1800, and the sheer size of the P76 created problems with painting the shell and fitting panels on the line. In an effort to meet demand, new workers were brought in to work round the clock assembling cars, but - as John Z DeLorean later found out - it can be something of a liability to employ people with no experience in building cars and who are in no apparent hurry to learn. At one stage, most of new cars coming off the line were not fit to be sent to those dealers screaming for something to sell, but instead had to join the ever-growing fields of cars awaiting rectification. With losses mounting, the decision was made to ship P76s out anyway - leading to disgruntled customers complaining about cars filling with water due to appalling panel gaps and poor seals. It was not an ideal situation. After several months of this nonsense, customer goodwill had hardened and the company found itself in a bad situation, cash wise. Leyland Australia needed to sell 45,000 P76s a year just to break even. As it was, fewer than 18,000 found a home in the 16 months of production. Just as production stepped up, buyer numbers dropped. 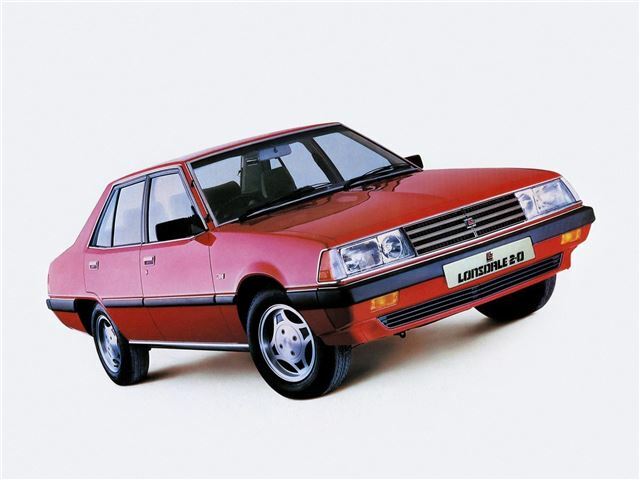 Apparently, to cope with overproduction there were plans to market the P76 back in Blighty, but that was dropped amid fears it would torpedo the forthcoming Rover SD1, with which it shared a V8 engine and other engineering. It was a workers' strike in October 1974 which ultimately finished it off, as BL pulled the plug on its unruly antipodean sibling. The UK company had sunk £50m into the P76, and decided it had no option but to cut its losses. Like Longbridge, the Zetland factory sat in a state of suspended animation for over a year with a yard full of cars and dozens more on the assembly line - including the first run of the new Force 7 coupé, designed to beat the Holden Monaro and Chrysler Charger. Afraid of warranty claims, nearly all the remaining cars and parts went to the crusher in 1975, and Leyland Australia spent its final few years building Minis and Mokes at its Enfield factory and importing Jaguars and Rovers. Prototypes of the P82, the intended homegrown replacement for the Marina, were also squashed. Fiat Brava/ Bravo. I am sure there are a few about but when did you last see one? They used to be everywhere. And the Stilo for that matter. I know there are two on here, but Mat's is unique for one reason and as far as I'm aware mine is for another reason. 3-door T12/72 Bluebird. The one SL let get away. As far as I’m aware no Lonsdale YD41’s survived. When wed the last time you saw a totally unmolested MK1 saxo vtr? They sold millions of those with the promise of free insurance and as an 18yr old lad with limited experience and 100 odd bhp things were never going to end well. Long before the days of the black box and massive emission restrictions, they were a really potent car in the right hands.